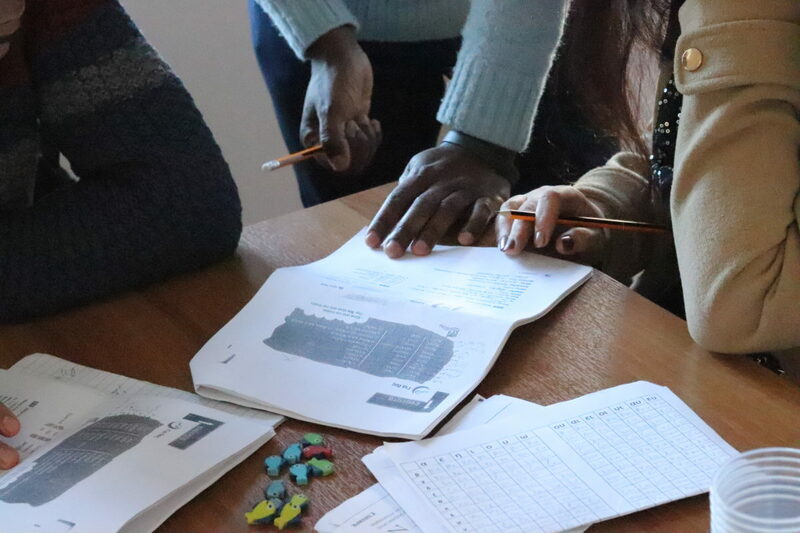 Τhe Special Secretariat for Citizenship published statistics on the acquisition of Greek citizenship based on the procedure for the children of migrants as well as by naturalization. In particular, the pending requests per year and per corresponding service, as well as the specific batch of applications each Directorate or Department of Civil Status is currently processing are presented. Data on the number of decisions issued in the same period is also included. With this set of data not only do we have better insight into the system for granting citizenship but for the first time we also have a more comprehensive picture of the naturalization process. Among the data published was the average waiting period for each stage of the process. Regarding the processing of applications based on birth and schooling in Greece, in terms of registration and the submission of supporting documents, the services of Athens A’, Thessaloniki and Central and Western Attica are currently processing those submitted in 2016 while the Directorates of Southern Attica, Piraeus and Islands and Northern & Eastern Attica those of early 2017 [Table 1]. The rest of the services in the country are processing applications of 2018 with some being up to date such as the Civil Status Department of Arta currently with 0 outstanding applications. As for applications based solely on school attendance, again in the capitol the services are currently processing the last months of 2016 to the first of 2017, while in the co-capitol the service is currently in the 5th and 6th months of 2016. It is worth noting that the Directorate or Thessaloniki continues to have the most outstanding applications despite not receiving the most applications. In the remaining regions of the country, as with applications based on 1A, some services are processing the last months of 2017 and some those of 2018 [Table 1]. In addition to the process of granting Greek citizenship to the children of migrants, there is also the process of naturalization for the legally residing third-country nationals (as well as the children of migrants who do not meet the requirements of Law 4332/2015). Based on the statistical data, we can see that as of October 2018, in Athens the applications being processed are those from the 2nd quarter of 2014 to the second quarter of 2016 [Table 1]. In the rest of the country, applications being processed are those submitted from the last quarter of 2014 to the third quarter of 2017 in some services. 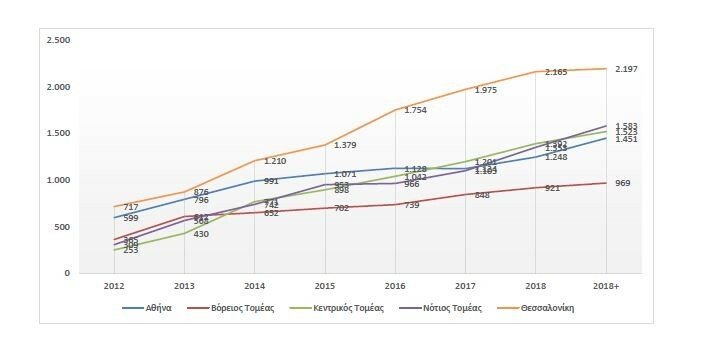 To no surprise, the only exception is the service of Thessaloniki which is the only Directorate still processing applications submitted from the 2nd quarter of 2012 to the first quarter of 2013! Beyond the data on the current batch of applications being processed by each service, data which results from the scheduled interviews, the average waiting period in days for each stage of the process is also captured [Tables 2 and 3]. In Athens, for example, from the time someone submits their application for naturalization to the relevant service until they are called for an interview, 1,042 days transpire, meaning almost three years. Until the process is completed and they are now a Greek citizen, a person that submits their application to the Directorate of Athens, will wait for an average of four years. Whilst in the service of Thessaloniki the average waiting time come to 1883 days meaning a waiting period of five years until the naturalization process is complete. Included in the statistics is the waiting period per year from 2010 to date for the interview stage of the process [Table 5]. In the chart below (data from the Ministry of Interior) the differentiation of this service in relation to the waiting times observed in the rest of the country is evident. Finally, in addition to these waiting periods, we also have data on the number and percentage of interviews per region. According to this release, the Special Secretariat for Citizenship intends to upload statistical data on citizenship every quarter. Beyond the framework of transparency, the publishing of this data is particularly important towards informing those that apply for greek citizenship.